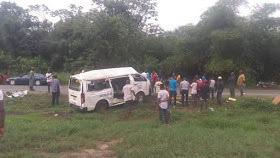 Kwale, Delta State were involved in a fatal accident with an eighteen seater bus. 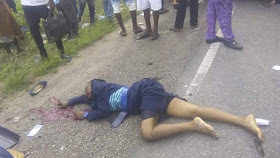 dead and others with various degrees of injuries. 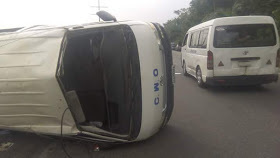 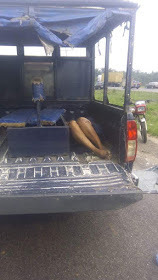 0 Response to "Principals Going For A Meeting In Delta Involved In Fatal Accident, One Dead(Photos)"